It was the ending of a particularly windy day; we were suppose to have dinner with our friend Ali and his girlfriend Selen. 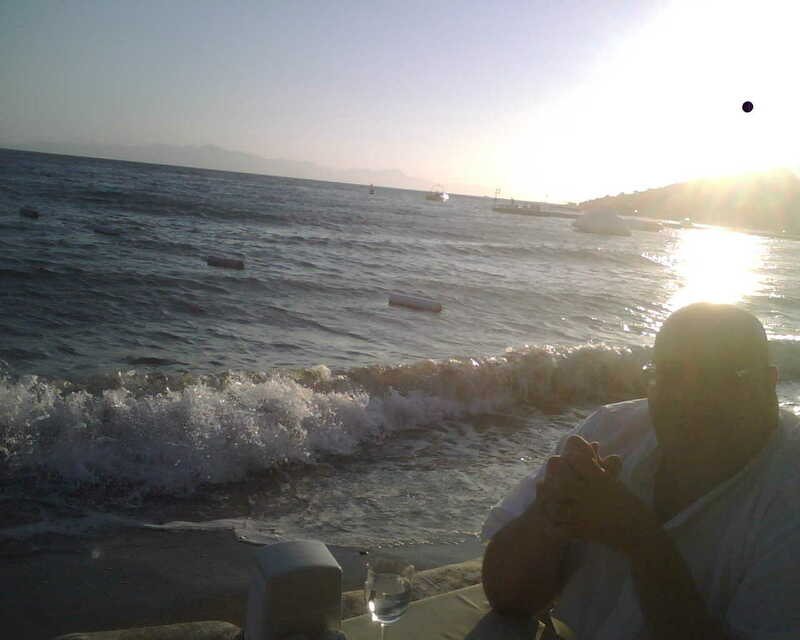 I am not sure who suggested it but Korfez Restaurant in Kadikalesi was the perfect choice for such a lovely evening. My husband and I had dined here last year; we had arrived at a time when the sun was still up and chose to eat on the patio of the restaurant while I looked out longingly to the tables that were being setup for the dinner service, up front on the sand. Our meal was good quality but not as memorable as the one we had on this particular evening, sitting at a table by the water, on the sand with the waves crashing vehemently all around us and the sun descending behind the hills of Kadikalesi... It was a magical evening... The food was great - typical Mediterranean- Aegean fare of wonderful mezes - all delicious but the 'Kopoglu' was the biggest hit at our table that night, and grilled fish we had at the suggestion of our server was wonderful as well. We were told by another friend to ask if there was the secret specialty, squid prepared with its ink, but was not fortunate enough to run into this either time we were there; I will forever wonder about this until I can taste it for myself. The biggest joke of the evening was about the waiter assuring us as we arrived that the weather would turn and the water would calm down, he said that he grew up in the area and knew the signs well... he was wrong but we took the random slight dousing as part of the charm of the whole experience. Korfez restaurant is located in Kadikalesi, on the road between Turgutreis and Gumusluk.This tiny waterfront village is one of my favorite places in Bodrum for its quaint, tranquil appeal that still retains its authentic pastoral quality. The road between Turgutreis and Gumusluk is a winding road with lush flora that turns the whole panorama into a kaleidescope of pure colors, passing through small hamlets and resorts situated discreetly in the surrounding area. As soon as you spot the 'bakkal' (grocery store) and the small mosque with the intricate, white minaret, you turn towards the water to reach a tiny square with a couple of hotels and restaurants. There is a parking lot right in the middle and Korfez Restaurant is the first restaurant you will run into. I highly recommend this place to anyone visiting the area, especially around sunset.